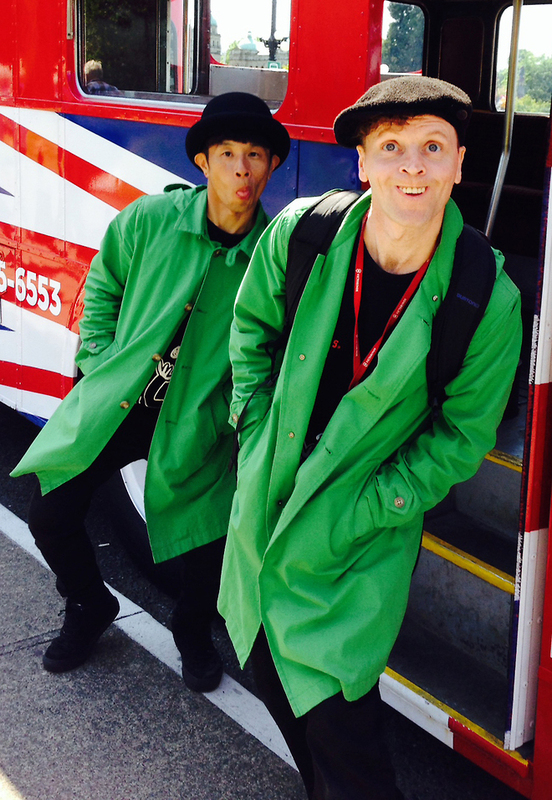 This International acclaimed double act is performed by Chris Peters (Briton) and K-Bow (Japanese) whom have worked together for over 12 years delivering hilarious add-libbing comedy with forever changing A routines involving giant puppetry, acrobatics, slapstick, voice percussion, dance, magic, hat juggling and much more. This non verbal act will dazzle your imagination with originality. © Copyright 2015 Intergalaxy Media Sweden AB. All Rights Reserved.